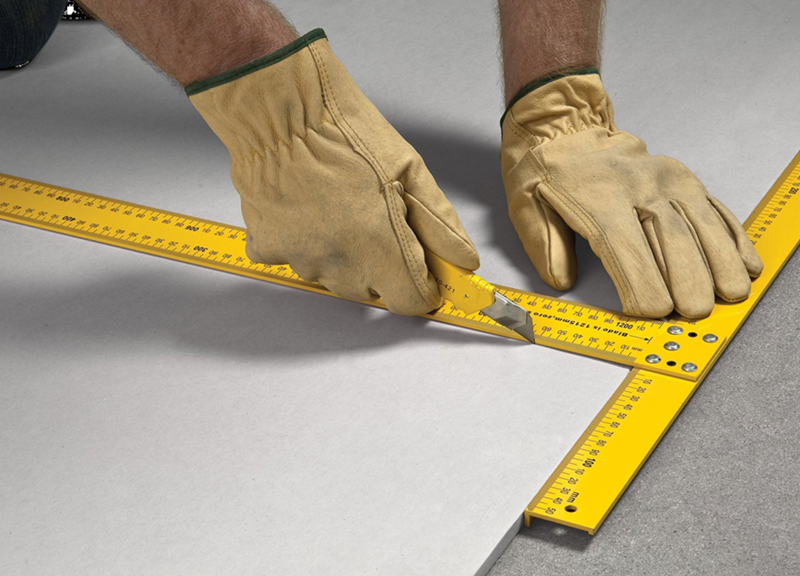 Lay the WhisperTek surface on a hard surface on the floor. The hard surface will protect the floor from the knife blade. Align the T-square to the cutline. You can tape the left edge of the T-square to keep it from moving. Drag the knife edge along the full length of the cutline to score the surface. Do not press too hard on your first cut. For new WM307i installs, order the WhisperTek HD surface.